Last week marked the 25th anniversary of the ‘Exxon Valdez’ grounding. On 24th March, 1989, the single-hull VLCC was departing Valdez, Alaska will a full cargo of North Slope crude oil (about 1.26 mill barrels) destined for Long Beach when it grounded on Bligh Reef in Prince William Sound. The resulting oil spill (around 258,000 barrels), while not the largest in US history, was clearly the most important, writes retired US lawyer Denis Bryant in his daily blog. It engendered much litigation. For example, public concern over the spill was directly responsible for the Oil Pollution Act of 1990 (OPA 90), which mandated double hulls for new tankers, response plans and a number of other measures. OPA 90 also significantly changed the liability and compensation scheme for oil spills in US waters. As a result, the amount of oil entering US waters from ships drastically decreased following its implementation. Bryant said that he was directly involved in development and promulgation of regulations implementing OPA 90 for the US Coast Guard, supervising a large staff of dedicated individuals. A lot has changed in the succeeding 25 years, most significantly the commitment of the maritime industry to minimise the risk of oil pollution from ships. ‘One can only hope that oil discharges from point sources and non-point sources ashore demonstrate similar reductions’, Bryant wrote. In September 2013, China’s net imports of petroleum and other liquids exceeded those of the US on a monthly basis, making it the world’s largest net importer of crude oil and other liquids, according to the US Energy Information Administration. Rapidly increasing Chinese petroleum demand driven by steady economic development outpaces domestic production growth, pushing up the country’s net imports of petroleum and other liquids. Chinese petroleum and other liquids production is expected to rise 5% between 2011 and 2014 compared with a growth rate of 31% in the US over this period. Chinese production is estimated to be only a third of US production in 2014. On the demand side, China’s liquid fuels consumption is expected to reach more than 11 million b/d in 2014. In the meantime, US consumption in 2014 is estimated at 18.9 million b/d, down 9% from the peak consumption in 2005. US refined petroleum product exports increased by more than 173% between 2005 and 2013. “China has been diversifying the sources of its crude oil imports in recent years as a result of robust oil demand growth and recent geopolitical uncertainties,” EIA said. Saudi Arabia continues to be the largest supplier of crude oil to China, providing 19% of China’s 5.6 million b/d in 2013. Because production levels from Iran, Libya, and Sudan and South Sudan dropped since 2011, China replaced the lost shares of crude oil and other liquids imports from these countries with imports from Oman, Iraq, the UAE, Angola, Venezuela, and Russia, according to EIA. The market for VLCCs is an ever changing one and while new routes are emerging and there is optimism for a projected rise in ton-mile demand, the supply side of the market needs a closer look and attention. In its latest report, Poten & Partners noted that the spate of newbuilding activity across different tanker sectors could be evidence that a lemming-like approach to supply analysis is well underway. "Besides the obvious consequence of oversupply, short-term market players seem to propagate the myth that vessels older than 15 years will be forced into an early grave. It is important to remember that the intended useful life of a tanker is 25 years and explicit age restriction policies have never been widely adopted by the oil companies. Historically, older vessels have tended to survive, even when utilization has suffered during periods of slack demand. It is no secret that the tanker fleet is poised for significant expansion over the next few years. Even if freight rates suffer as a result, vessel removals will likely take significantly longer to materialize", Poten said. According to the analyst, "the VLCC fleet has grown by an impressive 25% since 2009 to its current size of 629 vessels. The orderbook in 2009, however, was an astonishing 50% of the trading fleet – some vessels would never actually be delivered. While today the orderbook is a more modest 15%, the fact remains that the VLCC population is now nearly half comprised of vessels built within the past five years; vessels that could conceivably trade for the next 20. The generally weak freight conditions of the past few years have allowed oil companies to have their pick of the tankship litter. While some companies have policies limiting the age of an asset at the expiration of a time charter, age restrictions could commercially impede the negotiating position of a charterer. Not since the presence of single-hulls has there been absolute discrimination on an age basis. The average age of the fixtures is generally in line with the average of the fleet, and the maximum age reveals that the older vintage vessels are still finding work". Poten added that "to the outside observer, the notion that newer tonnage may command a premium in the market is not far fetched. But, since not all ships are created (or maintained) equally, age is merely one factor. Most oil companies would say that technical management and operational integrity categorically trump the age of the asset. Although trade fundamentals support ton-mile growth for the VLCC sector, additional new ordering will only exacerbate the already fragile supply scenario. Collectively, shipowners and investors should consider a total fleet’s size, not just vessels under 15 years of age, lest they find themselves surprised in an overtonnaged market for the foreseeable future", the shipbroker concluded. Meanwhile, in a separate report, shipbroker Gibson highlighted the issue of the increasing oil production in Iraq, as a positive factor for tanker demand. According to the report, "in February OPEC crude supplies exceded the 30million b/d mark for the first time in five months. A downturn in Libyan barrels did little to dent the cartels total, as a surge of Iraqi crude oil production achieved its highest level for 35 years. According to the latest IEA monthly report, Iraq’s production in February rose by 0.53 million b/d to 3.62 million b/d. 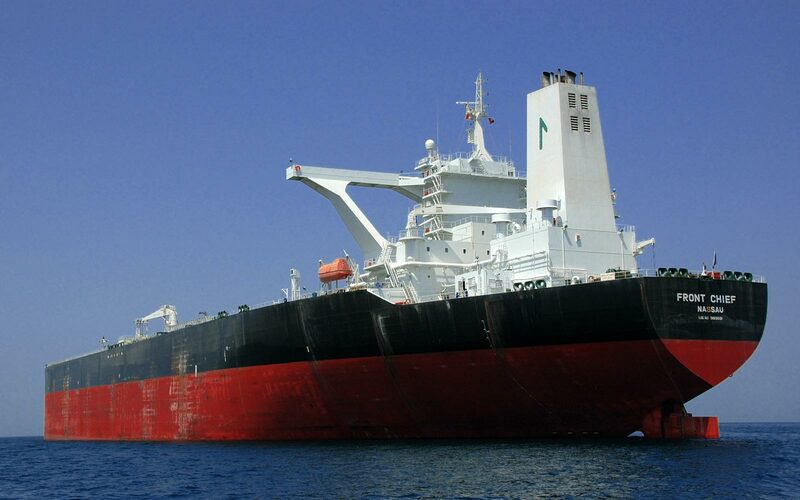 Exports of crude followed suit and increased by 0 .57 million b/d to 2.8 million b/d". Gibson added that "much of this growth came from bottlenecking at the Offshore Basrah Oil Terminal (BOT). The removal of a pressure problem enabled both single point moorings (SPM) at the port to load simultaneously. Severe weather in the Middle East Gulf also forced 20 cargoes to be deferred from the 42--cargo January programme, providing a further boost to the country’s output. Of course this has had an impact on the final production total for February but nevertheless Iraqi crude production has been rising since the start of 2011. One year ago marked the breach of 3 million b/d for the first time since 1990. Over the past year, there has been much volatility in the country’s production, owed largely to planned and unplanned infrastructure maintenance, and the ongoing dispute over payments between Baghdad and the Kurdistan Regional Government (KRG). The nation has set itself a production target of 3.4 million b/d in 2014, including 0.4 million b/d of KRG production, up from around 3.1 million b/d in 2013. The fundamentals are there to support this large year-on-year change, as witnessed by the strong start to the year. Export capacity is also set to expand. The start-up of new production in the south is expected to add around a further 0.5 million b/d by the end of this year. West Qurna 2 is scheduled to start-up at the end of this month, and a third SPM is expected to be completed later this year", the London-based Shipbroker noted. It concluded by mentioning that "the two governments in Iraq are yet to settle any disputes related to power sharing, and it is difficult to predict what the outcome of next month’s elections will mean for the country. But if problems between the north and south are resolved in the near the future, we can expect a further boost to both production and exports. As Iraqi production grows, doubt still remains whether its infrastructure and storage capacity will be able to cope with the increased demand. The requirement for shipping will follow, and as Iraq doesn’t own a national tanker fleet, unlike other Middle Eastern states, this can only mean a positive outcome for our market", Gibson concluded. lowest in more than five weeks. long-lasting U.S. manufactured goods rebounded in February. of planned spending on capital goods. earlier trade, its lowest since mid-February. 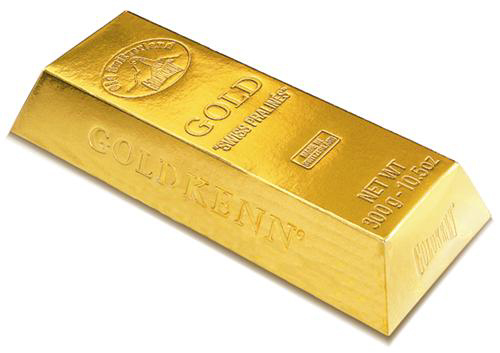 non-yielding bullion and sparked a sharp retracement in prices. the downside for the yellow metal is limited. operations looked set to continue. Hess Corp is to sell three of its former tank farms in waterfront locations across New Jersey, US, as the company prepares to exit the retail end of the terminal business. Real estate developers have reportedly expressed in interest in sites at Edgewater, Bogota and Secaucus, though no asking prices have been set as yet. The 15-acre Edgewater site is located on the Hudson River and is said to be the most of valuable of the three. 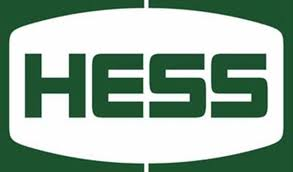 Hess also is selling its tank site at Bogota, on the Hackensack River, which consists of two 5-acre land parcels. Finally, the company is selling two parcels, one a former tank site, at neighbouring locations in the Harmon Cove development in Secaucus. Totalling around 9.5 acres, most of the properties' acreage is on the Hackensack River. The tanks have been removed and the land is now vacant. River Development, based in Red Bank, is said to be interested in Hess's Bogota property. The company is purchasing an eight-acre property adjacent to the Hess site. According to reports, River Development is asking the borough to declare that property as an area of redevelopment and has preliminary plans for a number of high-end apartments. HONG KONG (AP) - Investigators are closer to solving an international aviation mystery thanks to a British communications satellite and classroom physics. An analysis of faint signals sent from Malaysia Airlines Flight 370 to an Inmarsat satellite led officials to conclude the plane crashed in a remote area of the southern Indian Ocean. 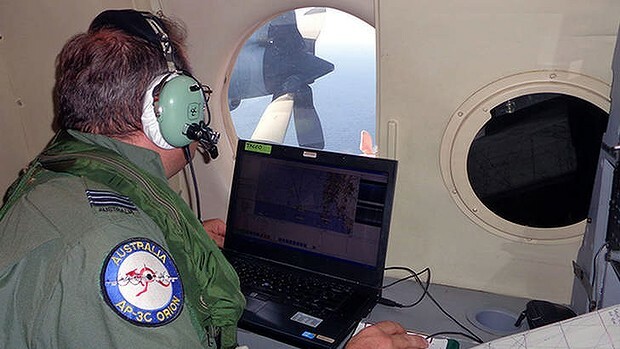 More precise information about the plane's position when it sent the last signals is helping authorities refine the search being undertaken by planes and ships in seas 2,500 kilometers (1,550 miles) southwest of Perth, Australia. Investigators had little to examine otherwise because other communications were lost early in the flight March 8. Even with other communications shut down, the plane sent an automatic signal - a "ping" or a "handshake" - every hour to an Inmarsat satellite. Flight 370 completed six pings, and the time each took to be sent by the plane and received by the satellite showed the plane's range from the satellite, according to the U.K. Air Accidents Investigation Branch. This initial analysis showed the last ping came from a position along one of two vast arcs north and south from the Malaysian Peninsula. Think of a horn being honked in a passing car. To an observer, the sound is high pitched as the car approaches and is lower after the car passes. On approach, each successive sound wave is sent from a slightly closer position to the observer. The sound waves get compressed, resulting in a higher frequency. The opposite happens as the car moves away. It's called the Doppler effect for Austrian physicist Christian Doppler, who put forward the theory in 1842. The same effect applies to the pings, which would arrive to the satellite at a higher frequency if the plane was moving toward the satellite and decrease in frequency when moving away. For the analysis that led to Monday's conclusion the plane had crashed, Inmarsat studied the satellite communications made while the plane was on the ground at Kuala Lumpur airport and early in its flight. It considered aircraft performance, the satellite's fixed location and other known factors. By knowing how the Doppler effect would apply to the satellite communications, Inmarsat could calculate the possible positions, direction of travel and speed of the plane. The company then compared its predictions to six other Boeing 777 aircraft that flew the same day, and found good agreement, according to Malaysian Defense Minister Hishammuddin Hussein. Inmarsat did not respond to repeated requests for comment from The Associated Press. "By analyzing that you can determine speed and direction," said Joseph Bermudez Jr., chief analytics officer and co-founder of AllSource Analysis, a commercial satellite intelligence firm. And by determining the area from which the last signal was sent, then estimating fuel left, it "could give you an approximate area of where the aircraft impacted." Inmarsat sent its data to investigators days after the plane went missing. But it continued to run its own analysis to see if it could wring out any more clues. The company's engineers were dealing with a "totally new area," Chris McLaughlin, senior vice president of external affairs at Inmarsat, told the BBC. "This really was a bit of a shot in the dark." However, the latest information could only go so far in pinpointing the jet's location. "We can't help you with any closer data," he said. Gregory D. Durgin, a professor who teaches satellite communications at the Georgia Institute of Technology, said that because Inmarsat was using a different kind of satellite in a novel way, he expects it would locate the last ping from the Malaysia Airlines lane within "around 100 miles (161 kilometers) of precision." Inmarsat Plc started out in 1979 as an intergovernmental organization with the aim of helping ships communicate while at sea. It became a private company in 1999 and listed its shares in London in 2005. Customers now include governments, airlines, broadcast media, oil and gas companies, aid agencies as well as merchant shipping. They use hand-held satellite phones, laptop size Internet devices and antennas linked to the company's 10 satellites to communicate. Shipping channels that deliver crude oil for more than one-tenth of US refining capacity in Texas were shut for a third day on Monday following a weekend oil spill, Reuters reports. The spill cleanup could last through the week. The Houston Ship Channel was shut on Saturday following a collision between a Kirby Inland Marine oil barge and a cargo ship, spilling some 4,000 barrels of residual fuel oil. The channels to Houston and Texas City, Galveston and the Intracoastal Waterway remained shut near the entrance to Galveston Bay. The US Coast Guard said 43 ships were waiting to go out from the port of Houston and 38 ships were waiting to come in, up from 40 outbound and 35 inbound on Sunday evening. A Coast Guard warning on Sunday said portions of the Houston channel and its offshoots to Texas City and Galveston, Texas, could be closed through March 29 or longer, depending on the requirements of a cleanup. Exxon Mobil Corp said on Sunday the closure had not yet affected operations at its 560,500 barrel-per-day refinery in Baytown, Texas, the nation’s second largest, according to Reuters. 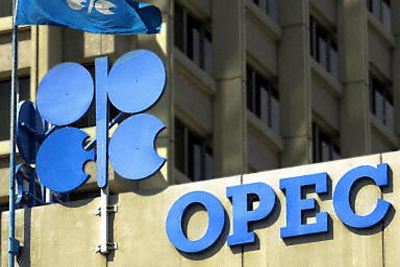 Vienna, March 24 (IANS/WAM) — The basket of 12 crude oils of the Organisation of Petroleum Exporting Countries (OPEC) stood at $103.30 a barrel Friday, compared to $102.37 last Thursday, according to the OPEC Secretariat. The new OPEC reference basket comprises Saharan Blend (Algeria), Girassol (Angola), Oriente (Ecuador), Iran Heavy (Iran), Basra Light (Iraq), Kuwait Export (Kuwait), Es Sider (Libya), Bonny Light (Nigeria), Qatar Marine (Qatar), Arab Light (Saudi Arabia), Murban (the United Arab Emirates) and Merey (Venezuela). A barrel is equal to 159 litres. Gondwana Oil to hit it big with Ghana play next door to giant Jubilee field. Gondwana Oil (CSE:GO) has made a splash with its initial listing on the Canadian Securities Exchange, raising $3.5 million, well north of its initial $2 million target, with investors banking on the potential of the company’s prime oil play in offshore Ghana, which sits next to the giant Jubilee Field – the first major discovery in the West African country. Indeed, the Jubilee Field, which was discovered in 2007, has 2 billion barrels of reserves, and 110,000 barrels per day of current production, with the junior company’s Gondwana block sitting just 25 km southeast of the enormous play. “The producing Jubilee Field is 25 klicks from us,” says CEO Troy Grant in a recent interview with Proactiveinvestors. “It has the same water depths as Jubilee, which is a 2 billion barrel field,” he adds, referring to water depths of between 500 metres to 1,700 metres, compared to Jubilee’s depths of 900 metres to 1,400 metres. “The entire coast, all the way up to northern Africa, is staked now, with a 65% success rate,” says Grant, noting the unusually high percentage of discovery for offshore wells in this frontier area. The company is negotiating final terms with the government on the block, which is held 70% through its local Ghanaian subsidiary, Miura Petroleum. The asset covers 1,604 square kilometres with past work including a “strong existing 2D and 3D offshore data set”, comprised of 2,378 line km of 3D seismic and 1,687 line km of 2D seismic, ready to be reinterpreted. According to Gondwana, there are approximately 28 wells being drilled around its block in a short span of two years, from 2014 to 2016. Grant says a solid comparable to the junior explorer is Canadian Overseas Petroleum (CVE:XOP), which is exploring the West African Transform Margin play – searching for a Jubilee analogue – in Liberia and has a $103 million market cap based on speculation of upcoming drilling in H1. Canadian Overseas Petroleum is partnered on its play with ExxonMobil (NYSE:XOM), which spent an estimated $250 million to secure its stake in the block of which $120 million is constituted of drilling over three years, while the junior company has retained an 18% stake. While Liberia has so far seen zero commercial-producing discoveries, the Gondwana block sits directly adjacent to a massive discovery, and the company has a valuation of just $5 million out of the gate. If Gondwana were to secure a similar type of partnership deal, the company’s hope is that its valuation would potentially skyrocket to the $50 to $100 million range, in line with peers. Over 5.0 billion barrels of oil has been discovered in the West Africa Transform Margin play in only five years of exploration, setting Gondwana Oil up nicely for a potential high-profile discovery. Ghana, with rising GDP year-over-year and “excellent infrastructure”, became the first nation to declare independence from colonization in sub-Saharan Africa, and has had a stable, democratic government system ever since. Gondwana is currently negotiating the final terms of a production sharing contract (PSC) with the Ghana state oil and gas company (GNPC), which the CEO described as very productive and proactive given “the strength of [its] local partners”. Indeed, one of Gondwana’s most significant local partners is Kojo Annan, the only son of ex-UN Secretary-General Kofi Annan and a man with an extensive global network who founded Sutton Group in 1999 with a broad range of partners across various business sectors in West Africa. The experience of the team stretches even further with John Lindemood as Gondwana’s manager of negotiations. The majority of Lindemood’s career has been in the petroleum business with Phillips Petroleum Company, which is now ConocoPhillips, where he was employed for 30 years, moving to the ranks of president of the Africa and Middle East Strategic Business Unit. In 1999, he was elected President of the Association of International Petroleum Negotiators, a worldwide organization for upstream contractual arrangements with membership from both host countries and international oil companies. "John used to sit on the other side of the table negotiating for Phillips, so now to have him with the minnow rather than the major will be very helpful throughout the process," Grant says. “The Ghana National Petroleum Corporation (GNPC) has substantial interest in the block from major companies, but we believe that they elected to move the ball forward with us because of our local content, technical merit, and development game plan,” said Grant. Once the final terms of the PSC are negotiated with the government, the agreement will go to parliament to get ratified. Grant estimates that drilling could commence as early as the second half of 2015, with one to two wells drilled in the initial exploration period, at a cost of roughly $50 - $75 million per well. “This block will be the major focus of the company until we achieve our planned milestones, but we always have our eyes open if there are accretive acquisitions to be made,” says the chief executive. The company, which has a combination of high net worth and institutional investors in North America and Europe, completed its initial listing earlier this year at half a penny, bringing an Australian-type share structure to Canada for the first time, says Grant. Gondwana is currently trading at 1.5 cents on the Canadian Securities Exchange. MOSCOW (AP) -- President Vladimir Putin completed his annexation of Crimea on Friday, signing the Black Sea peninsula into Russia just as Ukraine itself sealed a deal pulling the country closer into Europe's orbit. Putin said he saw no need to further retaliate against U.S. sanctions, a newly conciliatory tone apparently aiming to contain one of the worst crises in Russia's relations with the West since the Cold War. His spokesman, however, later kept the Kremlin's warning open that it could consider various options. At Ukrainian bases on the peninsula, troops hesitated, besieged by Russian forces and awaiting orders. Russia claimed some had already switched sides and agreed to join the Russian military. Friday had been the deadline for Ukrainian troops to leave Crimea, join the Russian military or demobilize. Russia rushed the annexation of the strategic peninsula after Sunday's hastily called referendum in which its residents overwhelmingly backed leaving Ukraine and joining Russia. Ukraine and the West have rejected the vote, held two weeks after Russian troops had seized control of Crimea. The U.S. and EU have responded to the crisis by slapping sanctions on Russia. Putin hailed the incorporation of Crimea into Russia as a "remarkable event" before he signed the parliament bills into law Friday in the Kremlin. He also ordered fireworks in Moscow and Crimea. At nearly the same time in a ceremony in Brussels, Ukraine's new prime minister pulled his nation closer to Europe by signing a political association agreement with the European Union. It was the same deal that touched off Ukraine's political crisis, the deal that President Viktor Yanukovych rejected in November, igniting the months of protests that drove him from office and sent him fleeing to Russia. "Russia decided to actually impose a new post-Cold War order and revise the results of the Second World War," Ukrainian Prime Minister Arseniy Yatsenyuk said in Brussels. "The best way to contain Russia is to impose real economic leverage over them." President Barack Obama on Thursday ordered a second round of sanctions against nearly two dozen members of Putin's inner circle and a major bank supporting them. Moscow retaliated by banning nine U.S. officials and lawmakers from entering Russia, but Putin indicated that Russia would likely refrain from curtailing cooperation in areas such as Afghanistan. Moscow appears to hope to limit the damage. But the latest U.S. sanctions, which targeted Putin's chief of staff along with other senior Kremlin aides and four businessmen considered to be his lifelong friends, dealt a painful blow to Russia. Obama also warned that more sweeping penalties against Russia's economy, including its robust energy sector, could follow. International rating agencies downgraded Russia's outlook and Russian stocks tumbled Friday. "The economic impact of the sanctions is already visible - on the stock exchange, the value of the Ruble, the investment climate," EU President Herman Van Rompuy told VRT network. Putin tried to play down the sanctions' toll on Russia at Friday's televised session of the presidential Security Council. Putin added sardonically that he would open an account to keep his salary in the targeted Bank Rossiya, a private bank that is owned by Yuri Kovalchuk, considered to be Putin's longtime friend and banker. With about $10 billion in assets, Rossiya ranks as the 17th-largest bank in Russia and maintains numerous ties to banks in the United States, Europe and elsewhere. At the same time, Putin said he sees no immediate need for further Russian retaliation to the U.S. sanction. "We must refrain from retaliatory steps for now," Putin said. But Putin's spokesman, Dmitry Peskov, later said that Russia would retaliate to the latest U.S. sanctions. "We will react every time. We responded to the first round of sanctions, and we will respond to those too," he said, according to the ITAR-Tass news agency. He did not elaborate. Russia is expected to play a major role in the planned withdrawal of U.S. and other NATO forces from Afghanistan later this year by providing transit corridors via its territory, and Putin seemed to indicate that the Kremlin at this stage has no intentions of shutting the route. Moscow also appeared to be warming to the deployment of monitors from the Organization for Security and Cooperation in Europe, the top trans-Atlantic security and rights group. Foreign Minister Sergey Lavrov said that Russia would welcome sending the OSCE observers to Russian-speaking regions in eastern Ukraine on condition that their number and locations are clearly set, but he made it clear that they wouldn't be let into Crimea. In Crimea, heavily armed Russian forces and pro-Russia militia have blocked Ukrainian military at their bases for weeks. Following Sunday's referendum they have moved aggressively to flush the Ukrainians out, storming some ships and military facilities. The Ukrainian government said it was drawing up plans to evacuate its outnumbered troops from Crimea, but many soldiers still remained. At the Ukrainian military air base in Belbek, outside Sevastopol, Col. Yuly Mamchur told reporters Friday he was still waiting for orders from his commanders on whether to vacate. Russian Defense Minister Sergei Shoigu on Friday told Putin that 72 Ukrainian military units in Crimea have decided to join the Russian military. His claim couldn't be independently confirmed. Amid its political crisis, Ukraine is teetering on the verge of bankruptcy, struggling to pay off billions of dollars in debts in the coming months. The U.S. and the European Union have pledged to quickly offer a bailout. It owes Russia $2 billion in overdue payments for natural gas supplies. Putin made it clear that Russia will further raise the heat on Ukraine by urging it to pay back a $3 billion bailout loan granted to Yanukovych in December. In addition, Russian Prime Minister Dmitry Medvedev suggested that Russia should reclaim $11 billion in gas rebates it gave Ukraine in exchange for a deal extending Russia's lease on its navy base in Crimea until 2042. 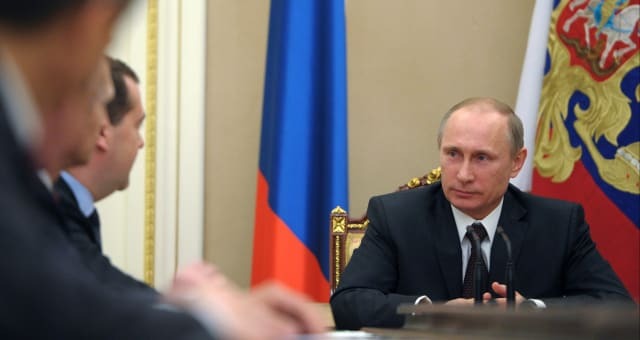 Medvedev argued that since Crimea is part of Russia now, the deal is void. Mike Corder and Raf Casert in Brussels, Belgium and John-Thor Dahlburg in Sevastopol, Crimea, contributed to this report. Hollywood Superstar, Brad Pitt has pro­duced a non-fictional documentary exposing what he terms “greed and exploitation” of Ghana and Nigeria by Texas-based oil explo­ration companies. The documentary, which was written and directed by Rachel Boynton, an international film­maker, takes viewers behind the scenes and gives them exclusive access to boardroom discussions as oil company officials show how much they are interested in making maximum profits from Ghana’s newly discovered crude oil resources at the expense of Ghanaians. The documentary titled, ‘Big Men’ shows the grand schemes inspired by Wall-Street investors to fleece Ghanaians. The 99-minute documentary, which will be given a global exposure, would be released today in New York City at the IFC Center. According to online movie review website, movievbox.net, the documentary, which is cur­rently receiving media raves, “follows the step-by- step process of how they (the multinational oil companies) conduct business after untapped oil fields are discovered off the coast of Ghana. It took Rachel Boynton seven years to painstakingly track these big players unawares to complete ‘Big Men’ which has been described as a thriller. In an interview with movie reviewer, Dorri Olds on March 10,2014, Rahel Boynton stated, “The film is of a deep philosophical nature. It* s about greed and desperation and wanting to be big. That’s what connects everybody in the movie. When I was asking the questions it got turned around on me at one point when I was asked, “Don’t you want to be big? In the documentary, the CEO of a multination­al company (name withheld) was heard saying, “Developing nations can’t get greedy” – he indicat­ed from the prospect of making billions out of their new crude oil production project off the coast of Ghana. He explained why his company won a hugely favorable deal with the government of Ghana around 2007. The CEO justified why his company should see greater rewards than the industry standard, as they benefitted from the political administration at the time. The deal with Ghana was that the com­pany would keep a vast percentage of the oil rev­enue being drilled out of the Jubilee oil fields, 64 nautical miles off the coast of Ghana. Over 70 percent of the total revenue is shared by the foreign companies. They justify the huge cut by arguing that they had taken all the risk. “What did the Ghanaians know?” asked David D’Arcy, an internationally known film critic and art reviewer, writing for The National and Screen International online, The Art Newspaper, among others. The documentary also showed the difficulties faced by the company when the John Agyekum- led administration finished its term and the administration was taken over by the National Democratic Congress (NDC) led by the now late John Evans Atta Mills. “The previous government (the NPP govern­ment) was nice to the oil company. Certain things will have to change,” the former Minister of Ener­gy Dr. Joe Oteng Agyei was heard saying in the documentary. Ghana is currently drilling about 100,000 bar­rels of crude oil off the Jubilee Fields and barely earns US$1 billion from its oil export annually. MOSCOW (AP) — Russia may revise its stance in the Iranian nuclear talks amid tensions with the West over Ukraine, a senior diplomat warned Wednesday. Russia's Deputy Foreign Minister Sergei Ryabkov said, according to the Interfax news agency, that Russia didn't want to use the Iranian nuclear talks to "raise the stakes," but may have to do so in response to the actions by the United States and the European Union. The statement is the most serious threat of retaliation by Moscow after the U.S. and the EU announced sanctions against Russia over its annexation of Ukraine's Crimea region. Ryabkov, who is Russia's envoy to the Iranian talks, said that Russia considers the "reunification" with Crimea as far more important than the developments surrounding the Iranian nuclear program. Russia has cooperated with the United States and other Western nations in the Iranian talks, but Ryabkov warned that its attitude may now change. "We wouldn't like to use these talks as an element of the game of raising the stakes taking into account the sentiments in some European capitals, Brussels and Washington," Ryabkov was quoted as saying by Interfax. 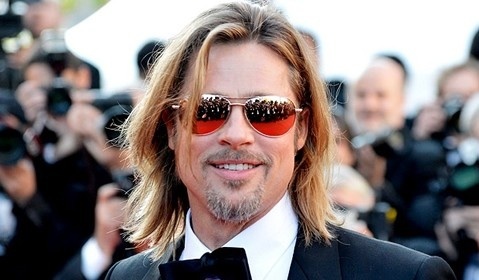 "But if they force us into that, we will take retaliatory measures here as well. The historic importance of what happened in the last weeks and days regarding the restoration of historical justice and reunification of Crimea with Russia is incomparable to what we are dealing with in the Iranian issue." Ryabkov didn't elaborate on how Russia's position in the talks may change. Iran has agreed to curb its nuclear activities under the terms of a deal last November with six world powers, including Russia. Tehran insists that its nuclear program has peaceful goals and dismisses Western fears that it could be a cover for a bid to develop nuclear weapons. It has agreed to temporarily limit its atomic work in return for some sanctions relief. In the meantime, both sides are working on a fuller deal placing long-term restrictions on Iran's nuclear program in exchange for an end to all economic sanctions. NNPC is facing a forensic audit to try and quash the recent uproar over $20 billion in state revenues that have allegedly gone missing. The audit was ordered by Nigerian president, Goodluck Jonathan. NNPC has repeatedly denied allegations but the government has now called for an independent audit of the company’s books. In September word was released by Central Bank Governor Lamido Sanusi that the state-run firm was almost $50 billion short in its accounting of oil revenues, later $30 billion was explained away leaving NNPC with its current bill of roughly $20 billion. Shortly after word of the missing funds reached the public, Sanusi was suspended by Jonathan for what the president called “financial recklessness” and “gross misconduct” but it is widely held that his suspension was politically motivated. 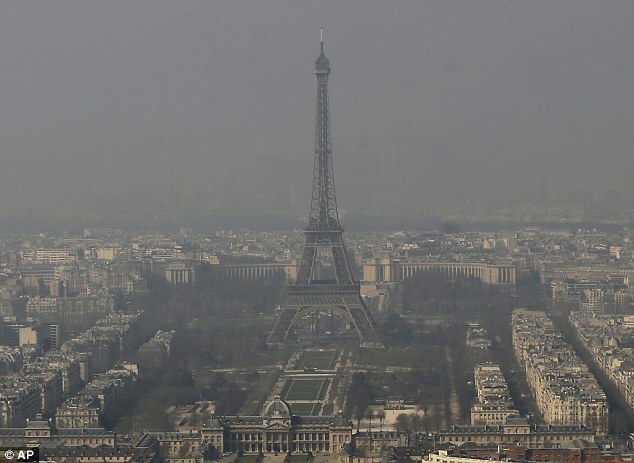 Drivers in Paris will only be allowed to use their cars every other day from tomorrow because of dangerous pollution levels. 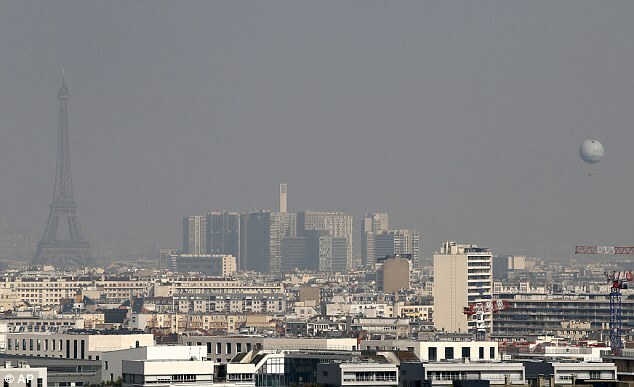 The introduction of the drastic measure follows a grey smog settling over the French capital from the middle of last week. 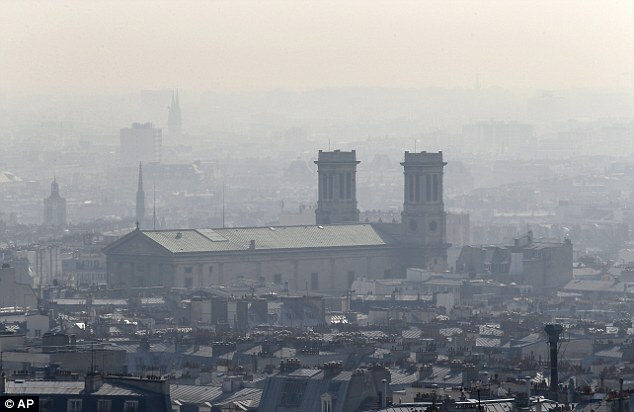 Francois Hollande's socialist government decided to introduce alternative driving days after air pollution exceeded safe levels for five days running. Now up to 700 traffic policemen will be drafted into the city to make sure the severe restrictions are enforced. They will allow only vehicles with number plates ending in an uneven digit to take to the roads, beginning at 5.30am on Monday. Motorcycles will also be covered by the ban, and anybody caught flouting them will face heavy fines. Last Friday, public transport was made free of charge in Paris for four days in an attempt to encourage people to leave their cars at home. 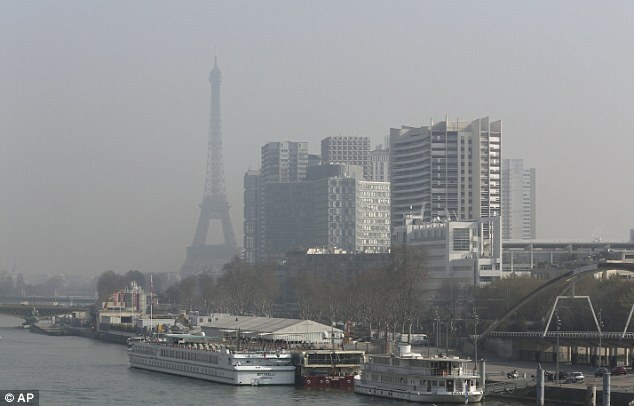 Pollution is believed to be lingering because of a combination of bright sunny days and cold nights, say experts. Environmentalists fear air pollution is currently rivalling notoriously dirty cities such as the Chinese capital, Beijing, and Mexico City. 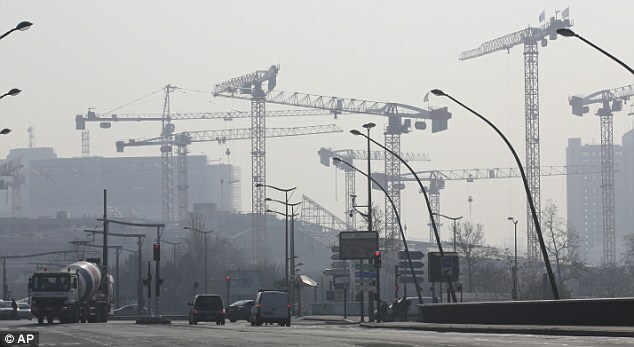 Pollution levels have reached 180 microgrammes of PM10 particulates per cubic metre, more than double the safe limit of 80. PM10 particulates are emitted by heating systems and heavy industry, as well as by vehicles. 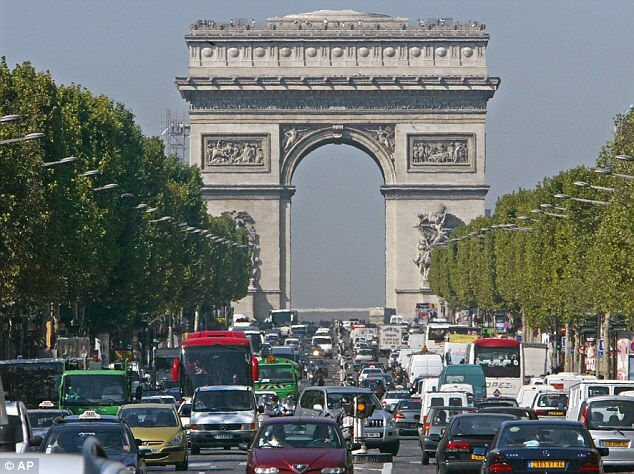 Foreigners driving through Paris, including many Britons, will not be prevented from using their cars. In 2013 the Government of Ghana spent a whooping USD2.6billion to import finished petroleum products from Europe for local consumption. On a normal day, this expenditure should not make news if Ghana was not an oil producing country and did not have an oil refinery. The irony however is that Ghana produces oil which it sells abroad and also has an oil refinery which is idling in the industrial city of Tema. Since 2009 the Tema Oil Refinery (TOR) has been on and off doing only occasional tolling refining for the Ghana National Petroleum Corporation (GNPC). Without saying so it appears that the Government’s Policy in the petroleum sector is to import finished petroleum products rather than resource Ghana’s only oil refinery to process crude locally and thus reduce the cost of petroleum products for consumers. At a time that government is considering banning some imports into the country particularly food imports, it is not out of place to suggest that perhaps it is time for government to also consider reducing the volume of imports of finished petroleum products and finance TOR to execute its original establishment objective; that is to refine crude locally. TOR has an operational capacity of 45,000barrels of oil a day whilst Ghana’s total daily consumption of oil is 60,000 barrels. So therefore if TOR was to refine at full operational capacity, Ghana will have to import only 15,000 barrels petroleum products to fill the gap. Indeed until now that was the arrangement. The country made full use of TOR and imported only the shortfall. We must however hasten to add that due to some operational difficulties mainly financial, TOR is now able to process only 25,000 barrels per day and has been knocking at the doors of Government to inject some USD60million to get the refinery operate fully. In 2010 the late President Mills visited the refinery and promised to give TOR the money. The late President made good his promise and advanced some USD30million but since then nothing more has been given to the refinery and indeed they are now almost redundant while government imports nearly all of the country’s fuel needs. The Refinery has been closed three times since reopening in April 2013, following an eight-month shut down from mid 2012. Ghana started commercial production of crude oil in December, 2010. The Jubilee fields produce 110,000 barrels of the world best crude oils the ‘Sweet Light’ oil. TOR is able to refine this grade of oil according to engineers and can do even better if their operations are upgraded with the capital injection the refinery is requesting for. Until the Government takes the decision to assist the refinery and while the policy is to continue importing finished petroleum products into the country, a few companies such as Chase, Cirrus(wood fuel) and Fuel Trade will continue to be the main beneficiaries of the Government’s inaction. Indeed SCANDAL is informed that the importation of petroleum products for resale in Ghana has become so lucrative that some Politicians and the Family members are all now involved in the business. Welcome to Kwame Nkrumah’s Ghana.